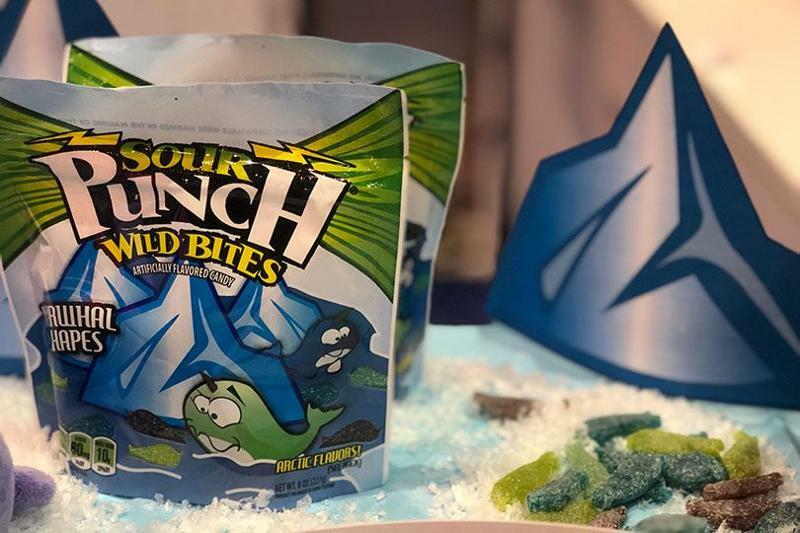 LAS VEGAS -- Snack and candy suppliers worldwide flocked to the Las Vegas Convention Center from Oct. 7-10 for the 2018 NACS Show to showcase the newest items that will emerge in convenience stores. After all was said and done, it appears indulgent treats are still top of mind, despite the surge in healthy eating over the past few years. 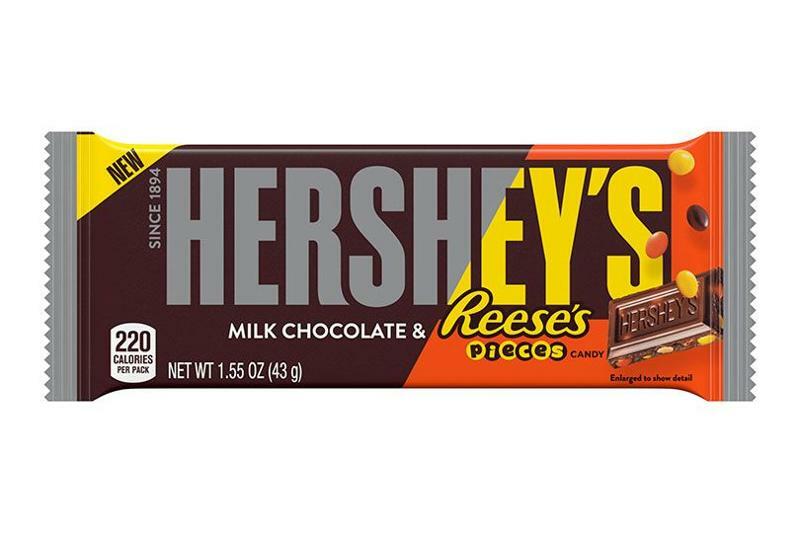 The Hershey Co. is combining its flagship Hershey bar with Reese’s Pieces for its newest release, Hershey’s Milk Chocolate Bar With Reese’s Pieces candy. The bar is available nationwide beginning in late November in standard (1.55 ounce) and king-size bar (2.55 ounce) formats. The Kellogg Co. has unveiled its newest addition to its Cheez-It snack line—a thinner, crispier version of the cheesy treat that resembles a pita chip from afar. 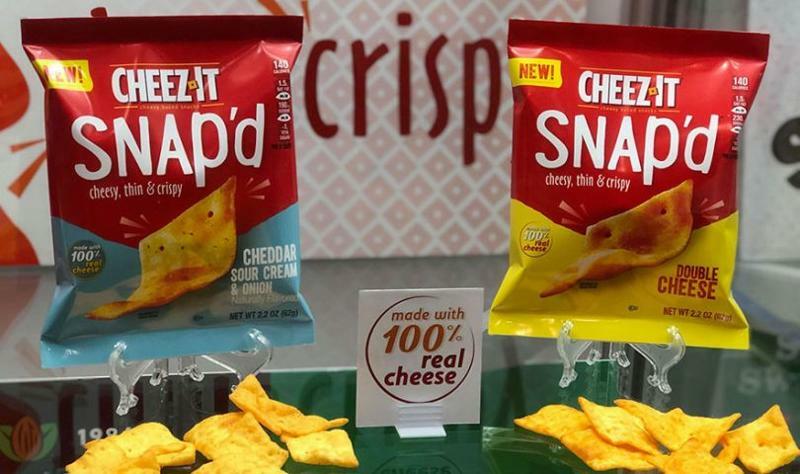 Cheez-It Snap’d snacks are made with 100% real cheese and are baked instead of fried. 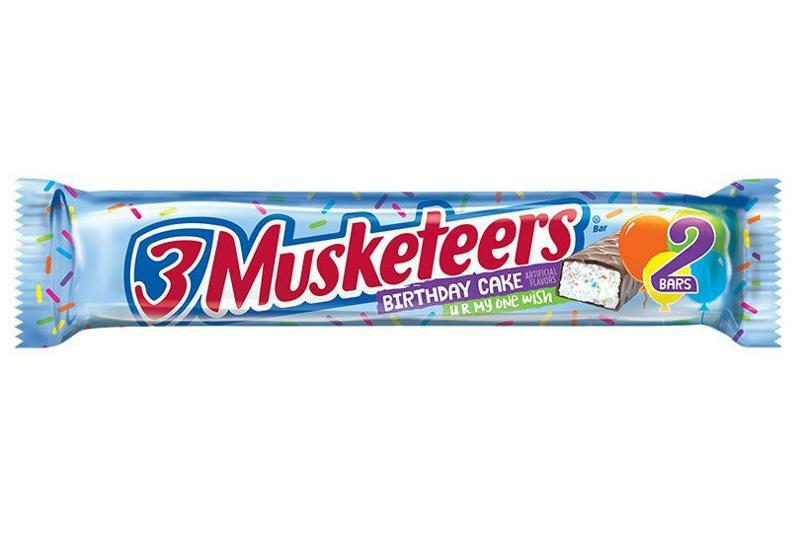 They come in two flavors: Double Cheese and Cheddar Sour Cream & Onion, both of which come in 2.2-ounce packages and have 140 calories per serving. 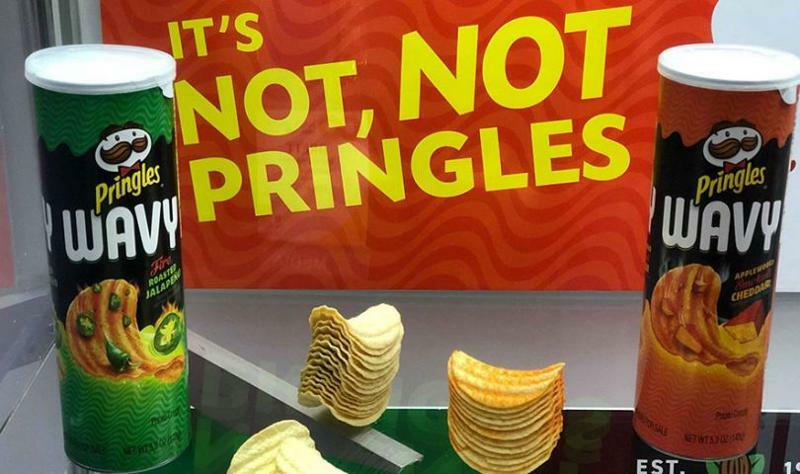 Kellogg is also bringing a new potato chip to the market, the Wavy Pringles. 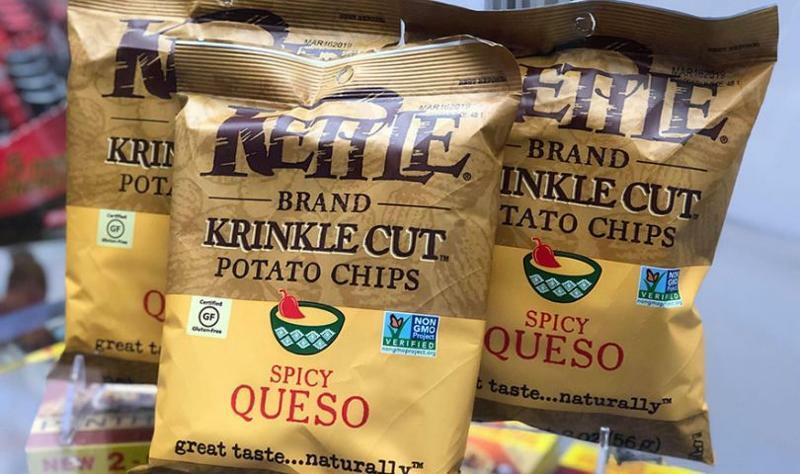 Sporting the mantra “It’s Not, Not Pringles,” these chips have the ribs seen in chip brands such as Cape Cod Waves and Frito-Lay’s Ruffles. Wavy Pringles come in two flavors: Fire Roasted Jalapeno and Applewood Smoked Cheddar, both of which are packaged in the traditional 5.2-ounce Pringles jars. 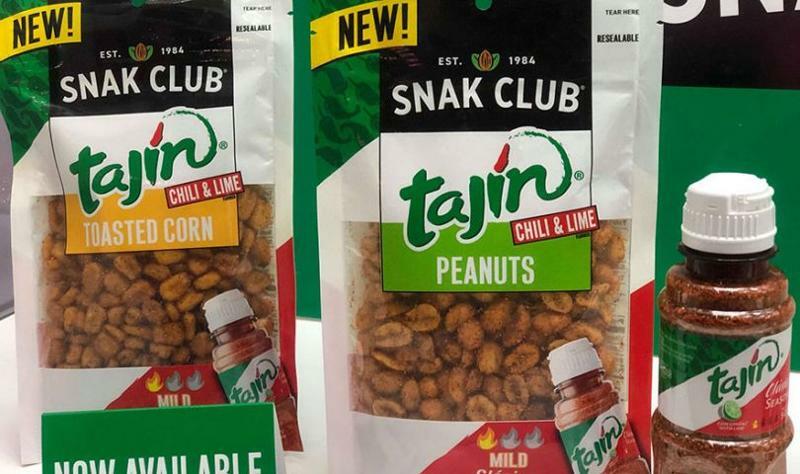 Century Snacks’ Snack Club has partnered with Mexican condiment company Tajin to create its newest peanuts and toasted corn snacks. Both the peanuts and toasted corn treats are covered in Tajin’s flagship seasoning, which consists of chile peppers, salt and dehydrated lime juice. 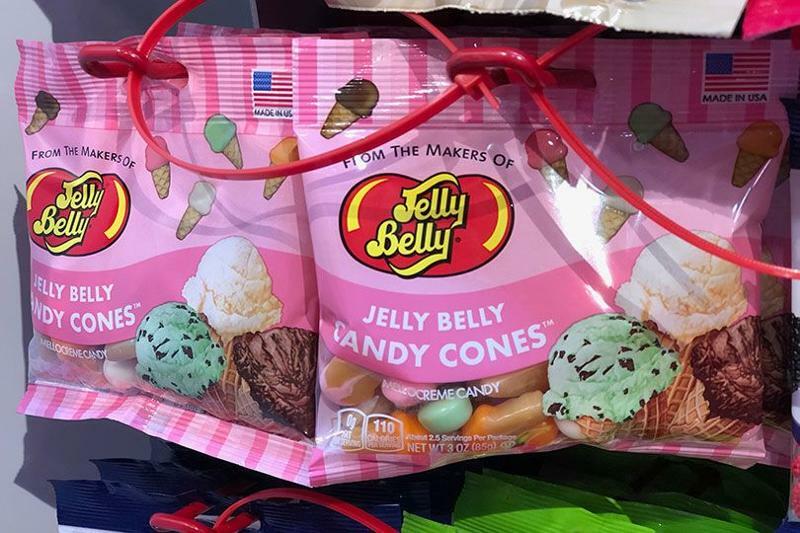 They come in 5-ounce resealable bags. Hershey has debuted its Dipped Pretzels line, the newest sweet and salty treat in the company’s portfolio. The product comes in three varieties: Hershey’s, Reese’s and Cookies ‘n’ Creme Dipped Pretzels. 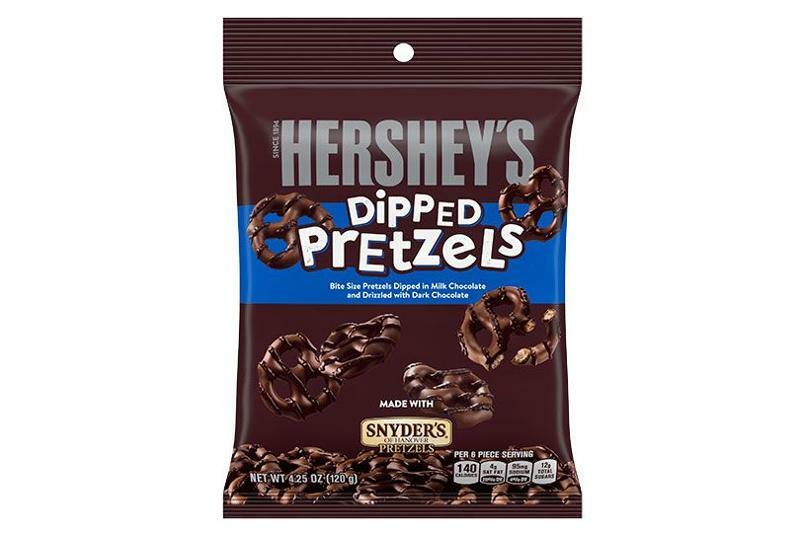 Hershey’s Dipped Pretzels feature bite-size pretzels dipped in milk chocolate and drizzled with dark chocolate. Cookies ‘n’ Creme Dipped Pretzels are dipped in white cream and coated with cookie bits. Reese’s Dipped Pretzels are dipped in peanut butter candy and drizzled with milk chocolate. 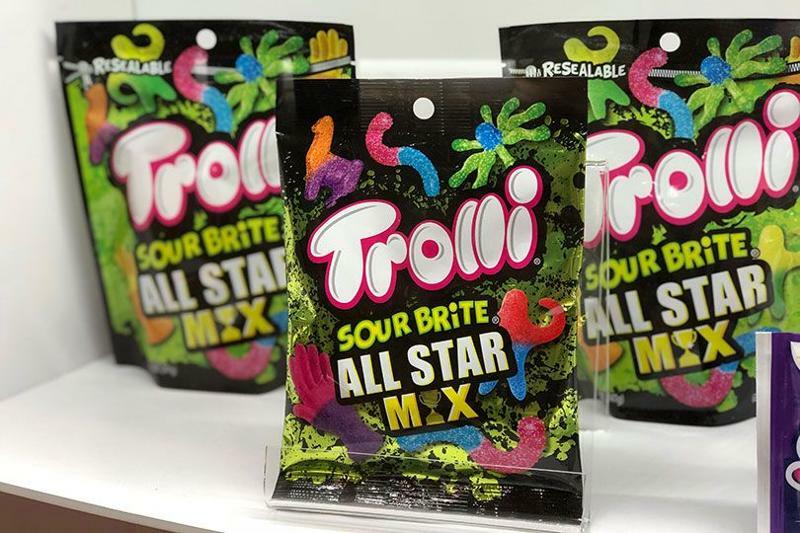 All flavors are available in peg bags (4.25 ounces) and pouches (8.5 ounces). 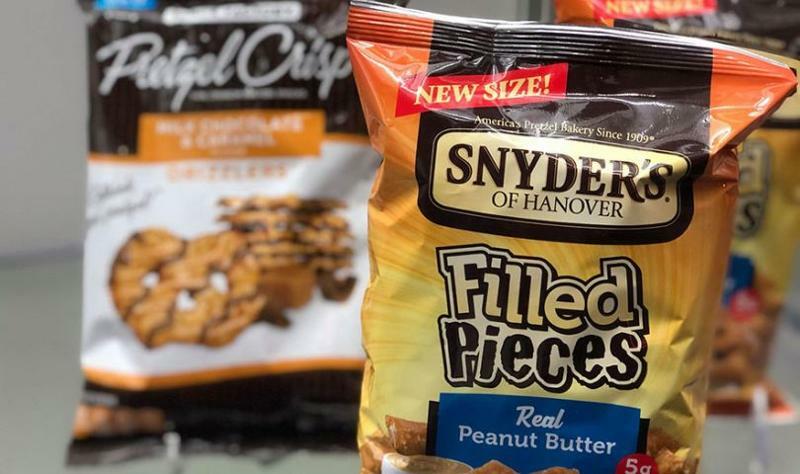 Snyder’s of Hanover is bringing peanut-butter filled pretzels to the market. Besides the launch of the snack itself, which the company describes as an ideal on-the-go treat for both children and adults, Snyder’s has debuted the pretzels in a 10-ounce bag. 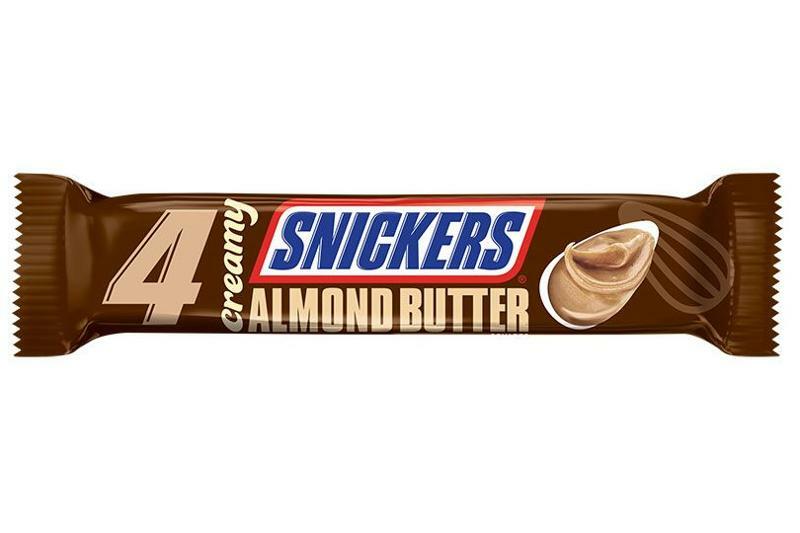 One serving of the salty and creamy snack contains 130 calories. 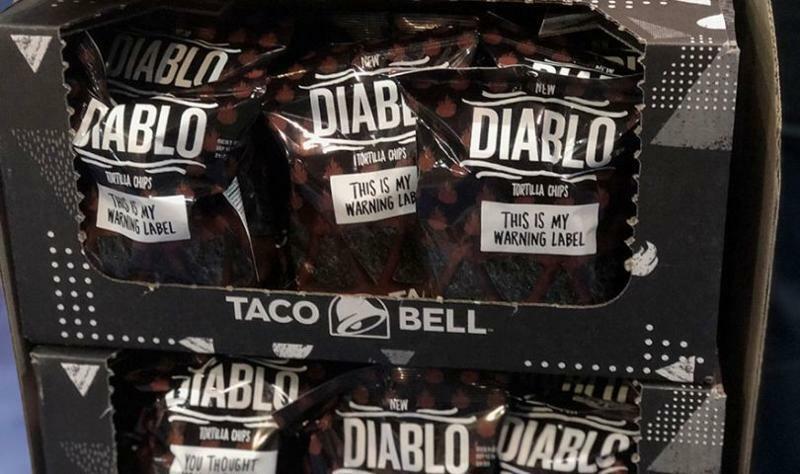 7-Eleven is officially selling Taco Bell’s Diablo Tortilla Chips in a new, exclusive partnership with the fast-food company, and these chips were on display at the NACS Show. The Diablo Tortilla Chips will remain exclusively on 7-Eleven shelves until Oct. 31; after Halloween, the chips will expand to additional c-stores nationwide. The spicy chips mimic Taco Bell’s Diablo sauce, which contains hot peppers and lime. They are vegan, kosher, gluten-free and made with natural vegetable juice. They come in 3.5-ounce bags. 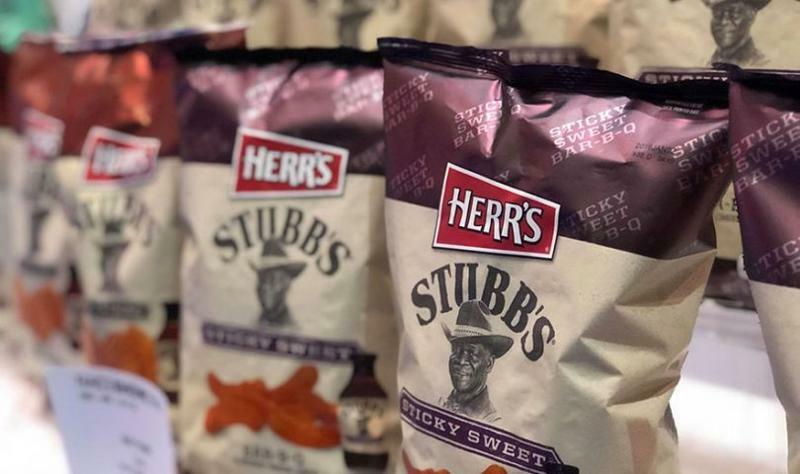 Barbecue sauce manufacturer Stubbs has made its first foray into the potato chip market with its Sticky Sweet Bar-B-Q chips. 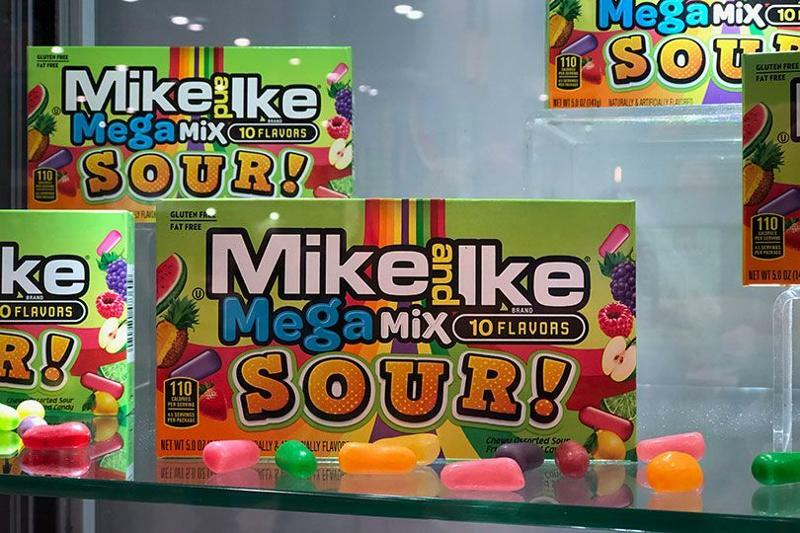 The snack mimics the brand’s Sticky Sweet Bar-B-Q Sauce, which consists of brown sugar, cane sugar, tomato paste, apple cider vinegar, molasses, distilled vinegar, corn starch, salt, dried onion, garlic and paprika. Sticky Sweet Bar-B-Q chips come in 2.75-ounce bags and join the snack portfolio of Herr’s Potato Chips.